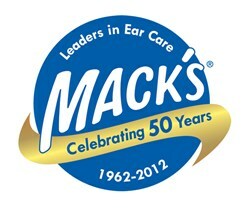 McKeon Products, Inc. celebrates 50 plus years making Mack’s Ear Plugs, and reaches beyond the category to diversify their product portfolio. The dedication and hard work of our employees, the strong relationships with our retailers and wholesale partners, and the loyalty of our consumers have directly contributed to the success of our company, allowing us to celebrate this milestone. “As we look back on the past fifty years of making ear plugs and ear care products, we at McKeon Products, Inc. are reminded that we have much to be thankful for as an organization. The dedication and hard work of our employees, the strong relationships with our retailers and wholesale partners, and the loyalty of our consumers have directly contributed to the success of our company, allowing us to celebrate this milestone,” reflects Dan Asma, President of McKeon Products, Inc.
And they have not stopped at ear plugs. The diversity in product offerings shows that McKeon is an ever-evolving company, which is evident by some of their 2013 product launches. Proving they are more than ear plugs, in June, McKeon launched Mack’s® Spotless™ Screen & Lens Wipes, daily cleaning wipes that are safe for glass screens, tablets, smart phones, and lenses. These pre-moistened and individually wrapped wipes are designed for on-the-go cleaning so users can clean their mobile devices thoroughly and often. In July, the company unveiled Mack’s® Hi Viz Ear Plugs, the only ear plugs that meet American National Standards Institute (ANSI) criteria for high-visibility in lime green safety apparel, available for the hunting and shooting market. Right on the heels of the Hi Viz launch came Mack’s® ThermaFit™ Soft Foam Ear Plugs, which, unlike traditional foam ear plugs, utilize body heat to enhance performance. In September, McKeon embarked upon a new product category with the launch of the Airmax™ Nasal Device. This clinically proven endonasal (inside the nasal passage) medical device increases airflow through the nose, and provides a simple and effective solution for individuals who have difficulties breathing while sleeping or as a result of colds and allergies. Adding strength to this new product is a recent study that showed consumers preferred the Airmax™ over other nasal device alternatives on the market. McKeon Products has also been a valuable contributor to the nation’s export initiatives. In May of this year, McKeon received the President’s “E” Award for Exports at a ceremony in Washington, D.C. The “E” Awards are the highest recognition any U.S. company may receive for making a significant contribution to the expansion of U.S. exports. And with a diverse portfolio of product offerings now in over 75 countries, McKeon continues to march ahead with plans to celebrate another fifty years of providing unique hearing protection, ear care, and health care solutions for consumers. Today, McKeon manufactures a full range of health care products for consumers, including moldable and pre-molded silicone and foam earplugs for all your hearing protection needs. 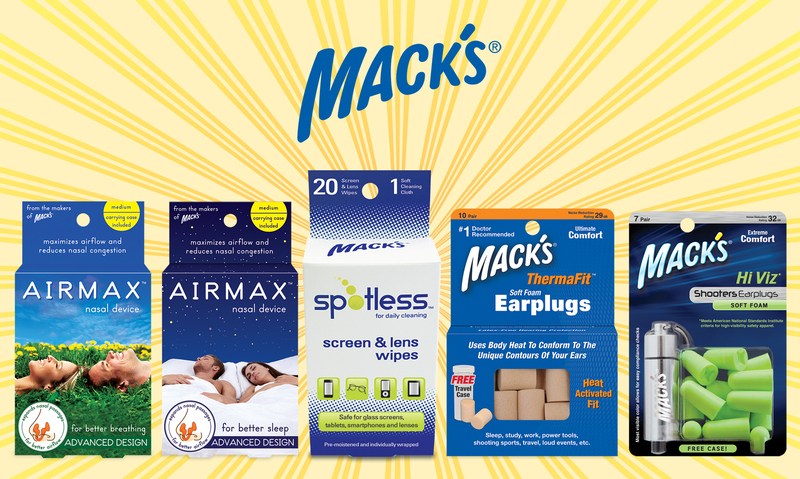 The Mack’s® line of products also includes ear drying aids, earwax removal aids, nasal devices, sleep masks, ear muffs, and screen and lens wipes. McKeon, an ISO 9001:2008 quality certified company, is committed to supplying the highest quality, innovative products at the lowest possible price.